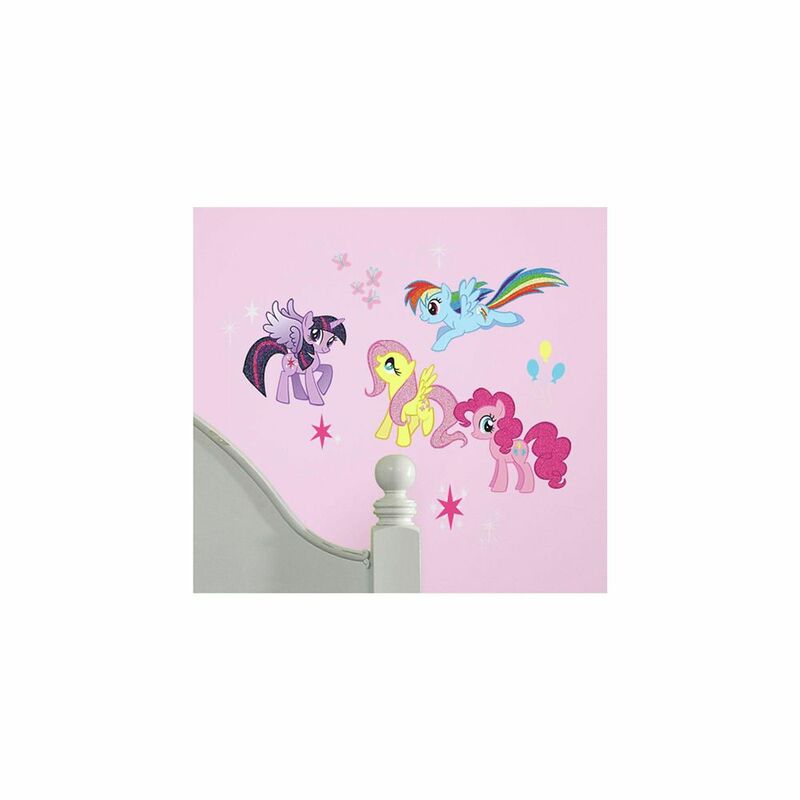 My Little Pony Wall Decals Removable and repositionable, these wall decals can be applied to any smooth, flat surface. To apply, peel each decal from the backing and place on your desired surface. Our decals will never damage your walls or leave behind any sticky residue, no matter how many times they're repositioned. My Little Pony Wall Decals is rated 3.7 out of 5 by 3. Rated 5 out of 5 by Belle from They where great and have stuck to the wall very... They where great and have stuck to the wall very well. My daughter loves her room even more with this addition.